You want your guests to feel at-home the moment they arrive at your home, but you also want your family to have the best products available for beauty, durability, security and energy efficiency. That’s why we carry ProVia™ Entry Doors. 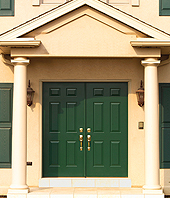 ProVia™ replacement doors are built to be welcoming. And not only are they beautiful, but they protect those you love the most with both the best security and the best insulation available in Alaska. 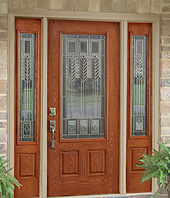 Energy-efficient exterior doors save you money and make you comfortable. 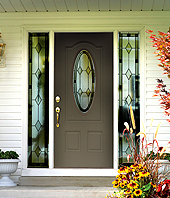 ProVia™ replacement exterior doors keep you warm in the winter and cool in the summer. 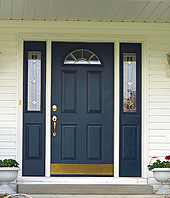 Every steel or fiberglass door contains the best weather seals on the market and is insulated with thermally efficient materials. Plus exclusive Comfortech™ glazing packages add outstanding energy efficiency to doors with glass (available in clear, decorative glass and Inspirations™ Art Glass). And with 6 Energy Star Partner of the Year awards, you can rest assured that you are getting the most energy efficient doors available, just what every home needs! 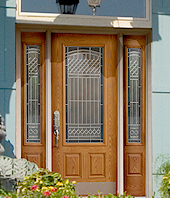 ProVia has been crafting the finest entry doors for more than 35 years. These products are continually selected as a homeowner favorite because of their commitment to creating products the professional way. Built with caring for every detail, ProVia™ doesn’t cut corners or sidestep even the smallest details. Each replacement door is created with unmatched customizability, so you can truly make your home yours. 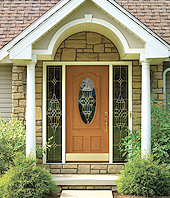 Let us show you how you can upgrade your home’s appearance, security, and energy efficiency with a new ProVia™ door. Our hundreds of available colors, options, and styles, enable our design consultants to create the look you want for virtually any home. Call our local office or submit an online form for a free in-home consultation in Alaska.